As the Snow melts away here in the North Country our minds are fixed on the fast approaching field season in Maine and New Hampshire. 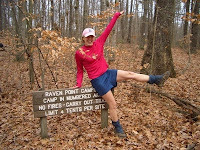 2010 will be a record breaking year as we have planned more Trails Volunteer programming than ever before. In order to accomplish this goal we have been able to pull together a great bunch of staff and field leaders for the 2010 season. Read a little bit about the staff and field leader you may get to work with this summer. Quality leaders, extensive training, and high standards are set to provide the best possible experience for our volunteers. We all look forward to an exciting season and we hope that you can be part if it. I have been working with AMC Trails and the Camp Dodge Volunteer Trail Crew Programs since 2001. Originally from New Haven, CT, I attended Unity College in Maine and have a degree in Adventure Education & Outdoor Program Administration. One of my favorite aspects of the program is getting to work with a great group of staff and volunteers all dedicated to conservation and land management. I am very much looking forward to another safe, successful, and productive summer season. I wish the Camp Dodge Staff and Field Leaders for the 2010 season the best of luck and I hope to get on the trails with many of our volunteers this year. I am originally from Connecticut, but have lived in many parts of New England over the years. After returning from Peace Corps service in Ecuador, I recently completed my master’s degree in Intercultural Service, Leadership and Management from the School for International Training Graduate Institute in Brattleboro, VT. My undergraduate degree from the University of Connecticut is in Agriculture and Natural Resources. I am hoping that between my education and this job as North Country Trails Volunteer Programs Coordinator, I will be able to link my passion for working with people with my passion for the environment. I enjoy my life as an endless learning experience and overall adventure - filled with frequent relocations, worldwide travel, outdoor exploration and recreation, time spent with family and friends, and working for environmental and social causes. I am looking forward to an excellent season with AMC’s North Country Trails Volunteer Programs! It's always been my mission to get as much face time with the great outdoors as possible. Originally from Northeast Pennsylvania, I studied Anthropology at the University of Vermont and came to know the Green Mountains well. 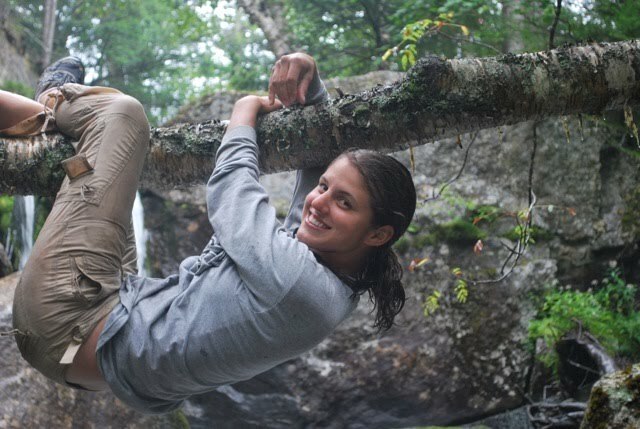 I was very involved in the UVM Outing Club and have led hiking and paddling trips all over the Northeast. 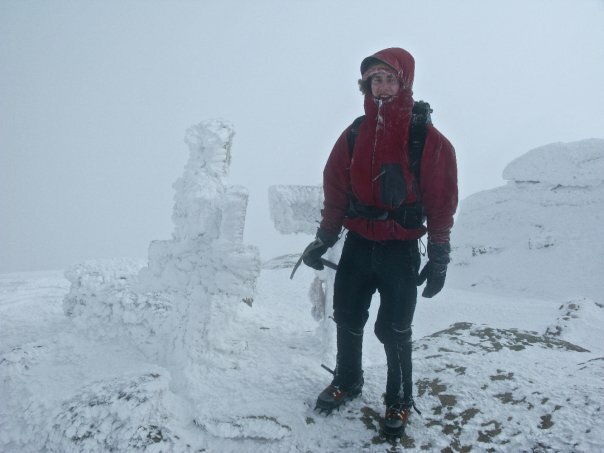 I thru-hiked the Long Trail in 2007, and last fall I was a caretaker (or steward) one of Vermont’s alpine peaks, Camel’s Hump. When I'm not in the woods, I try to find other ways to integrate elements of nature into my life. I once worked as a kayak guide in Alaska, and I spent a semester in Oaxaca, Mexico learning about the diversity of culture and botany there. My most recent job was a rewarding experience at an after-school teen center. My favorite night was "Fire in the Kitchen,” when staff and students cooked and ate dinner together; not only were the results (and the company) a treat, but it was a rewarding challenge to try to cook creatively with sustainable foods. What I'm most looking forward to about this summer is meeting YOU! Thanks for joining us and I'm so excited to put our passions together to do some good work! Hi everyone, i am very excited to apart of the dodge crew for a second year. I had a blast last year and i am hoping for just as good of a year this year. 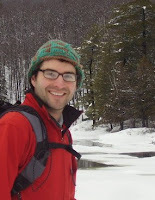 I am just finishing up my degree in Adventure Education at Plymouth State University. I have very much enjoyed every minute here going to school in the whites. This year my job will be the Dodge facility coordinator, i am looking forward to being able to put some love back into the facilities of dodge! My interests include hiking, skateboarding, snowboarding, climbing, and everything in between. I love the outdoors and i love that i am apart of a program that helps preserve it. I look forward to seeing everyone at Dodge and on the trails, see you soon! This summer will be my second as the Dodge Cook. I have worked too many seasons for the AMC to list here, but you may recognize me form Front Desk, Storehouse, or the Huts department. I have been tramping around the White Mountains since I was an infant riding along in a backpack and I am excited to be returning to my home range. I am a New Hampshire native, originally form Contoocook. 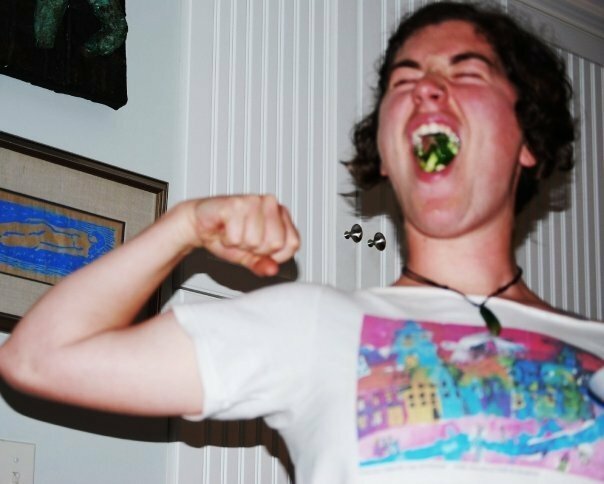 I have spent the last few years studying music at McGill University, working in a French restaurant, apprenticing on organic farms in Maine, traveling, and general adventure pursuing. My most recent adventure is heading back to school at Warren Wilson College in Asheville, NC. I am enjoying this section of the Appalachian range and getting to know life in the South. I am looking forward to another season in the Whites. See you at Dodge! Born in raised in Massachusetts (with a short, 3 year detour to Charlotte, NC), I have been hanging out in the White Mountains since I started going to summer camp here as a kid. Two years ago, I got my start with the AMC when the wonderful Sara DeLucia hired me to work as an Adventure Guide at the Highland Center. After two summers full time there with some part time worked mixed in during the school year, I decided to give something else a try for this summer. After having the chance to hang out and chat with Alex a few times while working for his wife, I knew Camp Dodge would be an excellent place for me to come and work. When not working I've been going to school and this spring I'll be graduating from Plymouth State University with a B.S. in Environmental Planning and a minor in Adventure Education. Someday I would like go back to school for my masters but in the meantime I'm content with hanging around the Whites and working outside. I am excited to say that this summer will be my first summer in New Hampshire or even New England for that matter. I originally hail from the Rushmore State of South Dakota and have spent the two previous summers hiking around the Rocky Mountain’s Rawah Wilderness fixin’ trail for the Forest Service. I am really excited for this opportunity to work for the AMC and for my chance to explore, in depth, the White Mountains and all they have to offer. I have been attending Plymouth State University for the past year and a half now, having previously attended the University of Sioux Falls in South Dakota for two and a half years. I am majoring in Environmental Biology at PSU and only have one more semester to complete after this summer is through. When I’m not studying my brain to dust… I thoroughly enjoy playing soccer and having any kind of adventure in the outdoors there is to be had. I Hope you are all ready to have some adventures this summer, cause I feel some comin’ on! See you at Dodge! Having grown up in New Hampshire, I was introduced to the wonder of the Whites at an early age. 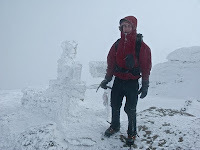 After graduating from college in 2005, I began my AMC career as a hut crew member at Lakes of the Clouds. Since then, I have spent several seasons with the AMC, each of which has allowed me to indulge my passion for the outdoors in a different way. I'm very excited to be working with the volunteer trails program this summer, and am looking forward to hard, dirty and rewarding work. When not playing outside, I love to cook, knit, and practice yoga. In addition, I love to travel and have lived in both South Africa and Kenya. I recently completed a masters of public health, and am passionate about finding ways to provide sanitation sustainably in developing countries. In the fall of 2010 I will be entering a soil science program at the University of Washington. My Camp Dodge experience should prepare me well! Hey! I am an adventurous girl from Boston, MA. I have many interests and hobbies including making art, exploring, photography, climbing and cooking. Even though I do like trekking through the city I LOVE hiking in the great outdoors. I attended college in VT for two years but without knowing my major of interest I took some time off. Last April I moved out West to work for the California Conservation Corps building trails in the Redwood forest and the mountains of Kings Canyon National Park for 5 1/2 months. Building trails is great fun and I can't wait to get to Camp Dodge for the summer, hike in the White Mountains, meet cool people, and make more trails!! I will be going back to school in the fall to obtain a Forestry Biology degree at Paul Smiths College and this experience in NH will be perfect before going back to school. I enjoy working with people and I'm really looking forward to meeting everyone this summer. I know we are going to have some fun out there! When I grow up, I plan to be an engineer. Until then, I plan to spend as much time as possible far away from cubicles. Consequently, though it will be my first time leading trips, this summer will be my third season at Camp Dodge. 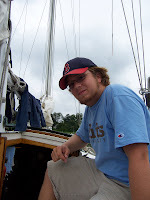 I have also spent summers racing sailboats, teaching sailing, and working as a camp counselor. In real life, I am finishing up my freshman year at Tufts University where I am studying mechanical engineering. Outside of classes, I work with my school's team designing and building a solar car, train in shotokan karate, and try to spend as much time outside as possible. I'm very excited to get to lead volunteers this summer and can't wait to get back into the mountains! Hi, I come from the Czech Republic – a small country known for some as “The Heart of Europe”. I am a recent graduate in Recreation and Outdoor Education and it has always been attractive for me to get experience in this field from abroad. The circumstances brought me to the United States in September 2009 when I enrolled for an intensive English course in Northampton, Massachusetts for 6 months. However, that was the first step of my lifetime experience. I was very happy when I discovered AMC and its awesome activities and programs! As an enthusiastic backcountry wanderer (with a bit of luck) I grabbed the chance to become a part of the wonderful AMC 2010 summer crew. I am looking forward to the challenges we are going to go together in the Whites’ wilderness (especially the bears!) and I can’t wait the summer to start! I am from State College PA but I grew up in Nashville TN. I am a junior at Connecticut College where I am a student in the Goodwin-Niering Center for Conservation, Biology, and Environmental Studies as well as a double major in Government and Hispanic Studies. When I am not studying I spend most of my time swimming or enjoying the great outdoors. As a high school student I got my start in trail work as a Camp Dodge Volunteer. I had such a great time as a Dodge volunteer that I haven’t left the White Mountains yet. After two summers volunteering at Camp Dodge I spent another two summers working on the Randolph Mountain Club’s professional trail crew. This summer I am interning at Camp Dodge and working towards completing my Senior Integrative Project on environmental conservation. I am excited to be living and working at Camp Dodge where I hope to share my passion for trail work and the White Mountains with others. I am from Westborough, Massachusetts and just finished my freshman year at Lyndon State College in Vermont where I am studying Mountain Recreation Management with a concentration is Adventure Leadership. Growing up I spent a lot of time in the White Mountains where I fell in love with the outdoors. I enjoy Hiking, Climbing (both ice and rock), mountaineering, slacklining, and just plain having fun in nature. Last summer I had my first experience with trail work, volunteering for two weeks at Camp Dodge. I had such an awesome time that I knew I wanted to come back. I am looking forward to this summer and I hope that I will have as much fun as I did last year! In addition to the outstanding staff and interns we have to lead the Trails Volunteer Programs in the North Country, we rely on the skills and experience of a few dedicated Trails Volunteer Leaders.